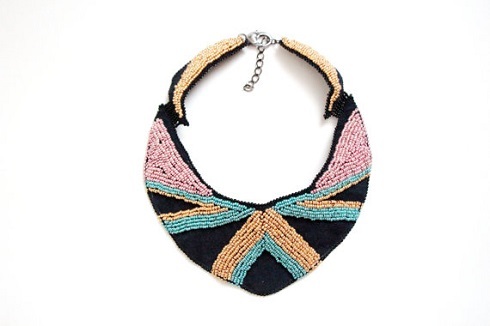 It is really refreshing to come across a talented bead embroidery artist who is prepared to do something different. 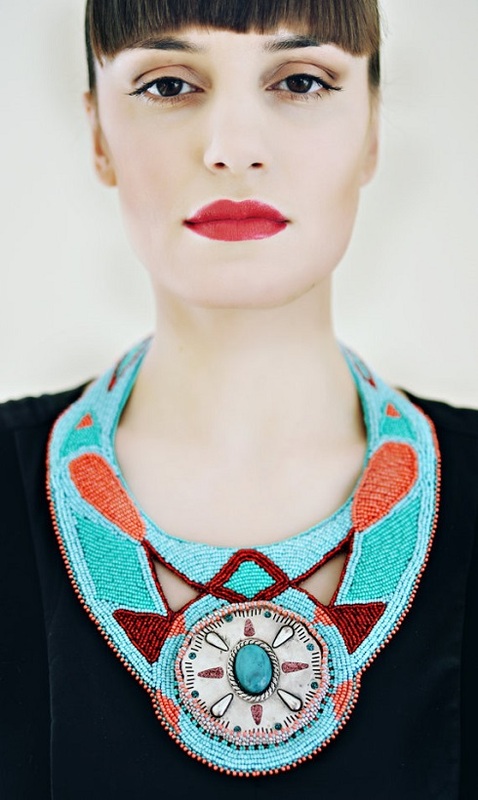 Lithuanian Rasa Vilčinskaitė of RasaVil Jewelry on Etsy has a modern take on traditional bead embroidery. 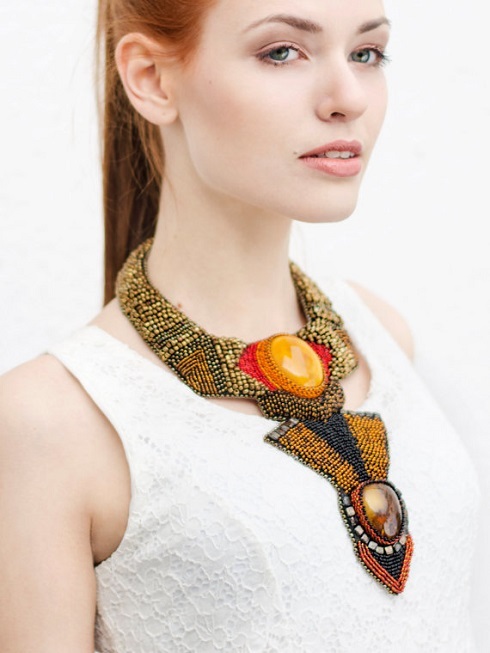 Her bead embroidered statement necklaces are outstanding and look stunning when teamed with neutral colored outfits. Some even look like they are part of the dress. She does use some popular shapes but she also creates some innovative shapes. 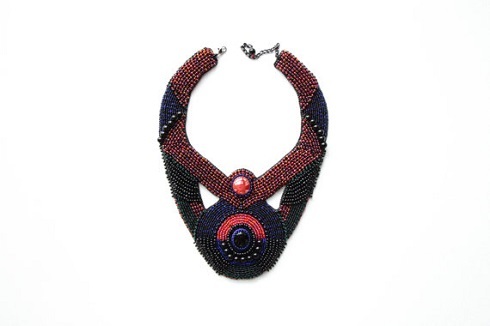 Many of her designs are geometric and perhaps even architectural in some respects. 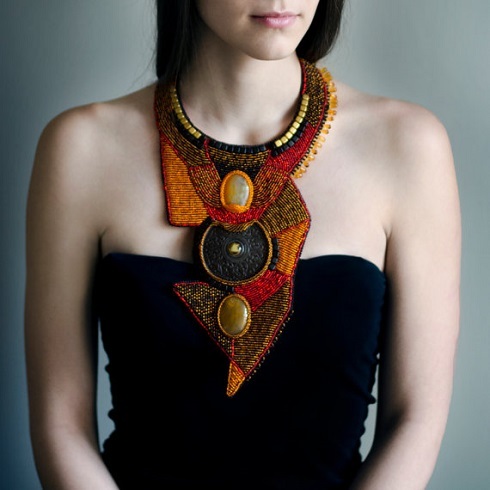 Rasa is an artist which is evident with her strong sense of color and patterns. 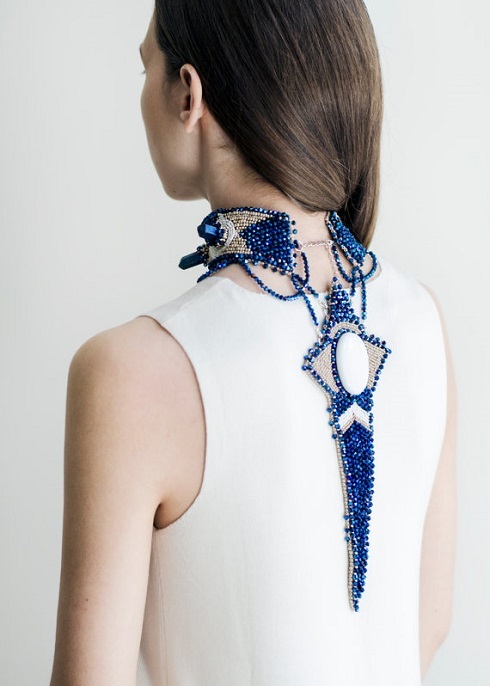 Bead embroidery is clearly her passion. 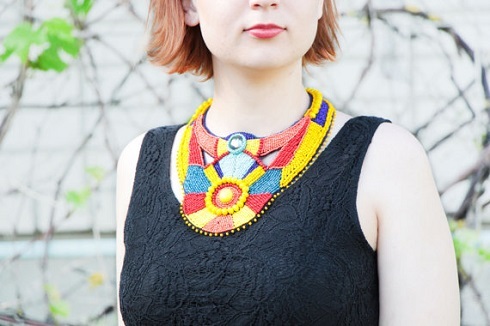 She prefers to make one of a kind pieces but buckles when people do ask her to recreate a design they like! Two of her necklaces have appeared in an Italian exhibition. 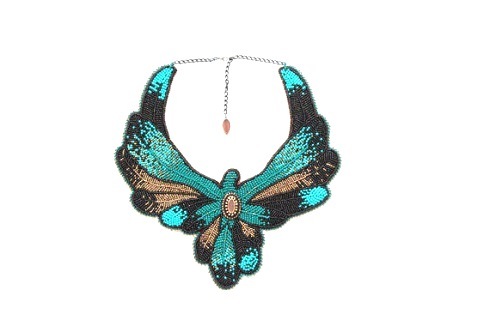 She also makes bead embroidered anklets and her head pieces are popular too. Rasa is also on Facebook. Oh WOW! What an amazing artist! These are absolutely stunning! I would wear something like these for special outfits! The first and the second last are my favourites - probably because they make use of the colours I prefer. Having checked out her store on Etsy I'm absolutely delighted with her variety of designs. A sign of a true artist is the variability. I also like her use of professional models to show off her incredible work. I have to say I was wondering how much she charged for all that amazing work and incredible designs. I'm thinking those prices will go up as she gets better known! And they should!! Thank you so much Aims !! What an imagination! And so many different designs and shapes - from classic to abstract!